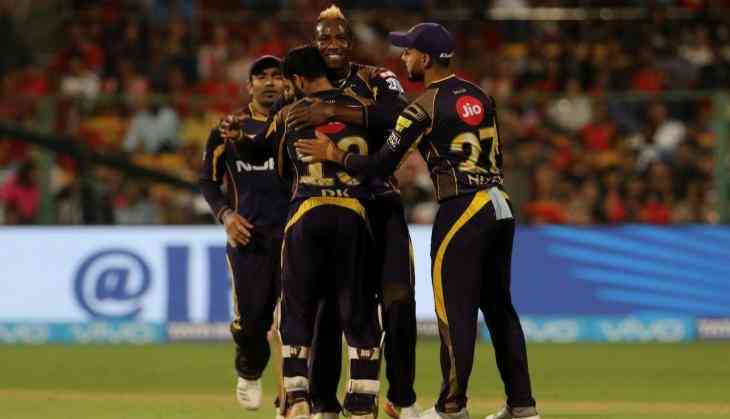 Team Kolkata Knight Riders defeated Royal Challengers Bangalore in the 29th game of the 11th season of IPL by 6 wickets. After losing the toss, RCB team came to bat first and set the target of 176 runs in 20 overs. 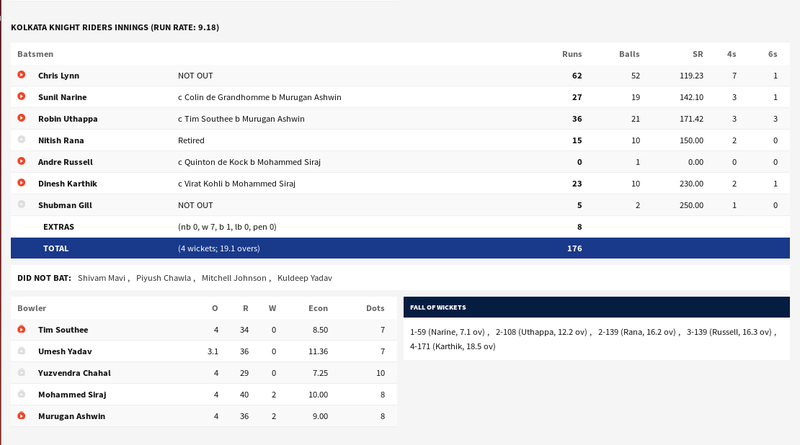 Then Kolkata Knight Riders came to chase the score and they achieved it by remaining 5 balls. After the brilliant performance of bowlers of KKR, their batsman Chris Lynn gave a super hit performance in the batting. 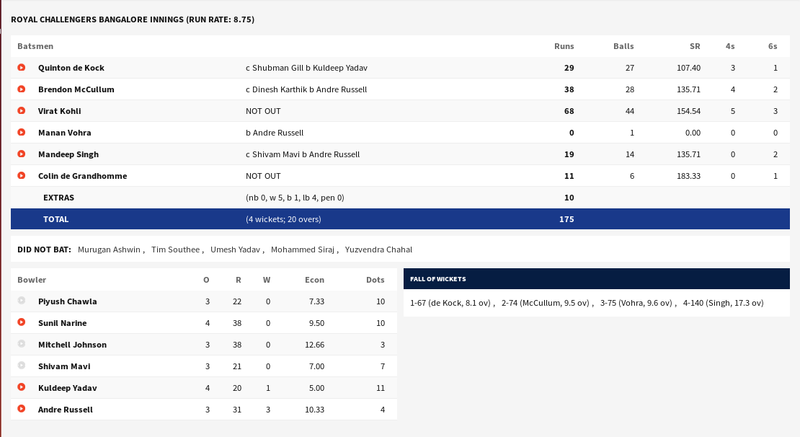 Chris Lynn's opening batting helped the team to get the target easily, however, Lynn's inning was a little bit slow but it was needed for the team. Chris Lynn hit one six and 7 fours to make 62 not out runs on 52 balls. Whether skipper Dinesh Karthik made 23 runs on 10 balls. In the current season, this is RCB's second defeat in front of KKR and that is quite shocking that they even not win their second game. Now Kolkata Knight Riders team is in the fourth position in the points with the fourth win. Whether RCB has lost its 5th match in their total played 7 matches in the tournament. Now Royal Challengers Bangalore is on the second last position and this is surely a tough for them to recover their position in their upcoming positions. Today, the MS Dhoni-led team Chennai Super Kings will face their eighth game against Delhi Daredevils and this match will be between the second position to last position team.